DAMAGE TO PARK… Greater Shepparton City Council Manager Parks Sport and Recreation, Tim Zak at the Ducat Reserve dog park on Paterson Road, which was recently vandalised. Photo: Katelyn Morse. 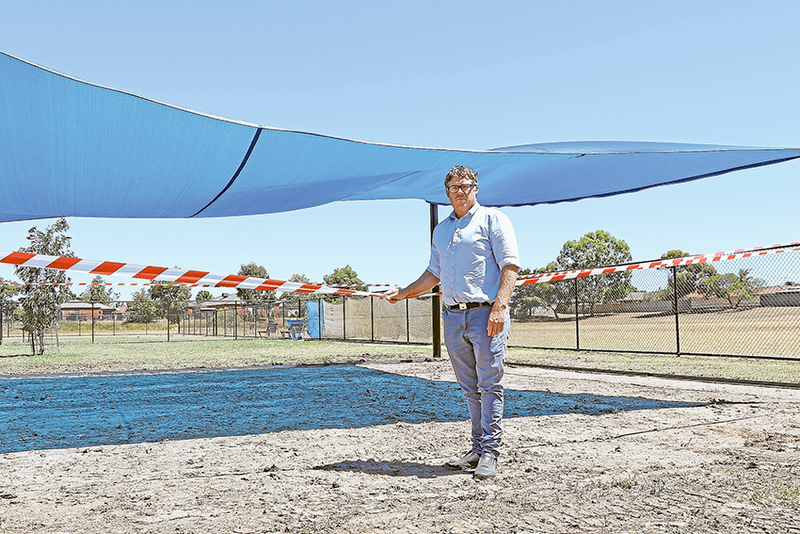 USERS of the purpose made dog park on Paterson Road and their pooches were barking mad when the Ducat Reserve park was closed recently, following the vandalism of a shade sail and theft of fencing panels at the popular park. The damage, which is estimated to cost $5,000 to repair, was believed to have taken place between Monday, January 28 and Wednesday, January 30, with council officers noticing the damage on Wednesday morning. Greater Shepparton City Council Manager Parks Sport and Recreation, Tim Zak said, “It looks as though somebody has pulled a bin up to the shade sail and climbed on top, using it as a trampoline, which is so dangerous. People have died doing things like this. “We need to work out whether insurance will cover the damages caused but either way the cost of repair will be borne by ratepayers. “This is going to put things back for this projects and those who use the dog park are quite unhappy. 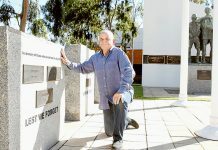 Greater Shepparton City Council Director of Infrastructure, Phil Hoare said, “This behaviour by individuals shows little or no regard for our community and is extremely disappointing.